Why is turbidity measurement important? In many cases, turbidity meters are used for the evaluation of the quality of water or the efficiency of a filtration process. Turbidity measurements are important indicators in many industries and applications as they not only influence the yield of the industrial process but also detect factors which are detrimental to a system. Particle shape and size: Particles smaller than 1/10 the wavelength of visible light, scatter light symmetrically. Larger particles (typically with a diameter greater than the wavelength of visible light) scatter light asymmetrically. Therefore, for measuring turbidity, the scattering angle must be considered. Light wavelength: as mentioned above, the intensity of the scattered light is dependent on particle size. In addition, the presence of color in a liquid may reduce the light being measured at the detector. As a result, the use of a suitable light wavelength must be considered for turbidity measurement. As a consequence of the three points above, it is only possible for turbidity to be used as a characteristic property of a sample if the measurement method is standardized. For example, in many brewery applications the liquid to be measured is yellowish in color and contains yeast particles. Therefore, to check for filter breakthrough, the amount of forward and side-scattered light is measured at an angle of 25o and 90o compared to the light source for quality assurance purposes. Red (650 nm) and blue (460 nm) light sources are also specified in guidelines for turbidity and color monitoring. What are the common interferences in turbidity measurement? Turbidity measurement can be adversely affected by the presence of light-absorbing substance or those that fluoresce. This interference can be minimized by using wavelengths other than those in visible light (i.e. 860 nm near-infrared). Air bubbles can interfere with turbidity measurement, so choosing an installation point where the presence of air bubbles is minimal, can be important. Windows fouling is also critical in turbidity measurement. State of-the-art technology and the ratio principle can compensate for sample color changes, aging of the lamp used as the light source and optical window fouling. What is a turbidity meter? What are the common turbidity meter measurement methods in the market? 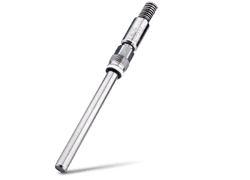 There are several types of in-line turbidity sensors that are optimized for specific measurement ranges and different applications. Forward scattered light/absorption: Turbidity sensors with this technology (e.g. 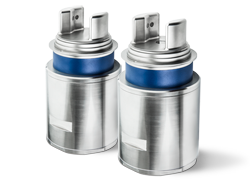 METTLER TOLEDO's InPro 8300 RAMS series and InPro 8600i/D1 and /D3 series) are designed for applications with low to medium turbidity levels. Color measurement (yellowness) is also available in the InPro 8300 RAMS type TCS and COMBINE/ InPro8600i/D3. Backscattered light: These sensors (e.g. METTLER TOLEDO's InPro 8050, InPro 8100 and InPro 8200) are designed for samples with a high particle concentration of up to 250 g/l suspended solids. 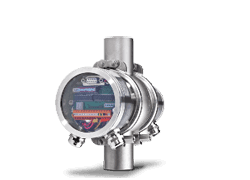 Depending on the application, the METTLER TOLEDO sensors are available in both stainless steel and a polysulfone body for pharmaceutical and wastewater use respectively. How do you calibrate a turbidity meter? Calibrating a turbidity meter can be done in three different ways with a transmitter. The first type is called manual calibration. This is the fastest but lowest level of calibration. The user can change the offset and the slope, and a measuring value is calculated and displayed. The second type is called multi-point calibration. This type of calibration achieves the best linearity for the process being measured. Two, three, four and five point calibrations can be performed – typically off-line with an uninstalled sensor. The third type is process or in situ calibration. This is an on-line calibration where the operator enters the process calibration menu on the transmitter and saves the current turbidity reading. The operator then takes a sample of the process liquid to measure it against a laboratory instrument in order to obtain a reference turbidity measurement. Depending on the turbidity sensor and transmitter, multiple point in situ calibrations are possible (e.g. METTLER TOLEDO M800 transmitter and backscattered light turbidity sensor). How do you select the right turbidity sensor? Please contact your local METTLER TOLEDO representative for details. Turbidity and color measurement for upstream and downstream production in the brewery and beverage industries, using scattered light and absorption method. Broad measurement range from medium to high turbidity - quick process adaption and easy installation. Rugged and easy to use turbidity system designed for use in phase separation by turbidity/color and for product identification processes. Visual parameters such a beer brightness and color are evaluated by consumers. Therefore, more and more breweries measure parameters directly in the process to better ensure final product quality. This white paper explains why measuring turbidity and color is useful in various brewing stages.